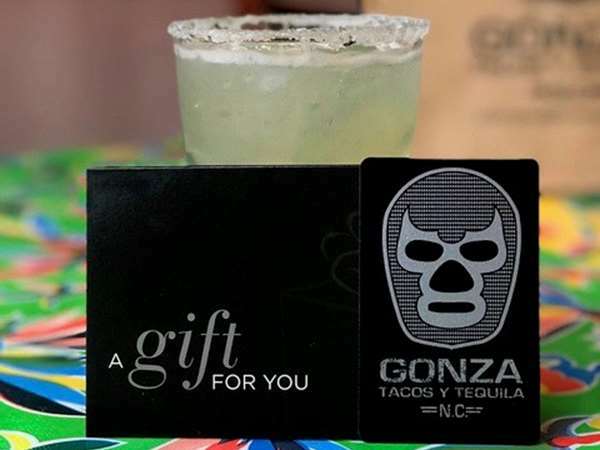 Host your next event at Gonza Tacos y Tequila and treat your guests to an evening to remember. A unique and dynamic event space that seats 35 people comfortably. The epitome of private dining and a perfect spot for your rehearsal dinner or corporate event. Dine “under the stars” in a unique space that is sure to leave a lasting impression on all. This room seats 80 people comfortably and can have 110 people for a more mingling, cocktail event. An amazing area for a memorable dining experience. Be at the center of the action at our high rise table right in the middle of our main dining room. This table is perfect for a party up to 14. Sit right in front of the action on our patio that overlooks Waverly Place’s live music venue. This area can seat 30 people comfortably and is perfect for an outdoor dining event. Need more room? Full restaurant buy outs are also available. For more information, please contact us at 919-205-2500. © 2019 Gonza Tacos y Tequila - Cary. All rights reserved. View site map. Gonza Tacos y Tequila - Cary website is served by Flavor Plate.